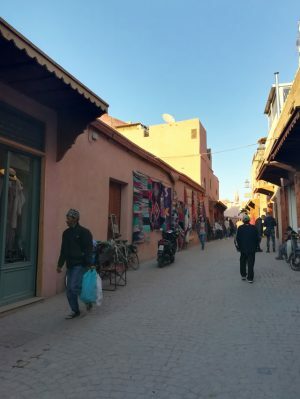 Marrakesh, also known by the French spelling as Marrakech, is a major city of the Kingdom of Morocco. 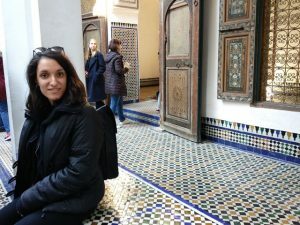 Located to the north of the foothills of the Atlas Mountains, in North Africa, it is the fourth largest city in the country, after Casablanca, Fez and Tangier. 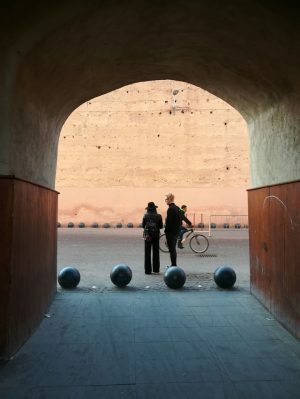 Marrakesh is the perfect destination for a long weekend or week trip from any European country. It blends ancient culture with modern conveniences and breathtaking beauty. 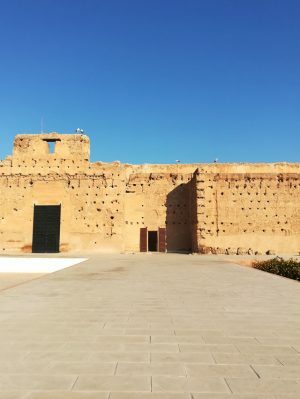 The “Red City” contains a number of culturally and architecturally important sites and the ancient section of it, known as the medina, was designated a UNESCO World Heritage site in 1985. 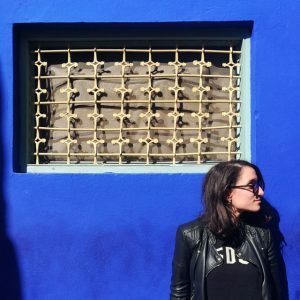 Along with some friends, I spent a 3-day weekend in Marrakesh few months ago, and absolutely fell in love with this place. Hope I’ll the chance go back again, as three days were way too little to explore this place. 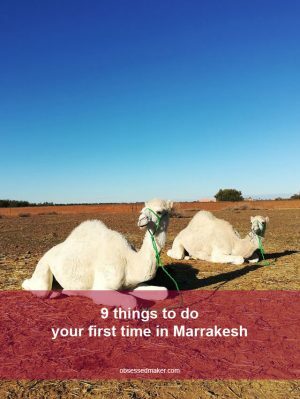 Here’s a small guide with all the top things you should do if you are traveling to Marrakesh for the first time. 1. Stay in a riad. 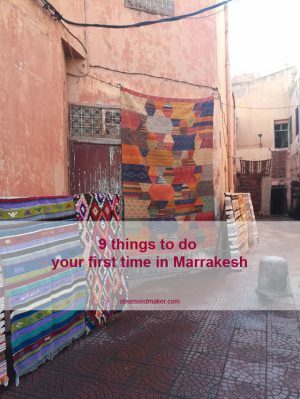 This is the first thing anyone mentions whenever a trip in Marrakesh is referred. 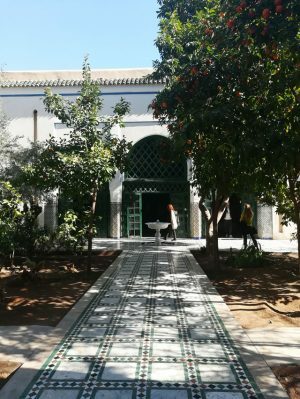 The term “Riad” refers to a traditional home built around a courtyard or garden. 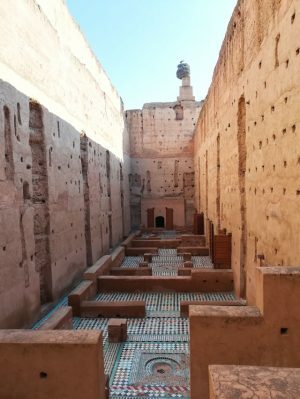 Historically riads were the city homes of the wealthy Moroccan citizens. Many of them have been renovated and now used as hotels, guest houses or restaurants. 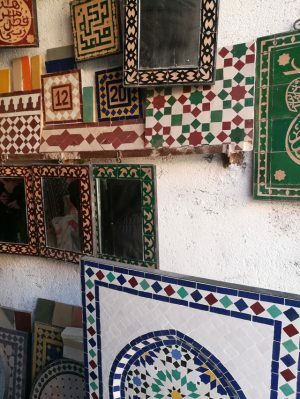 There is an abundance of riads to choose for your stay. 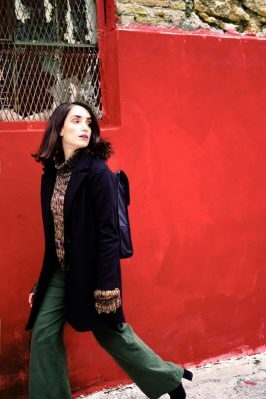 They range from budget-friendly to luxurious ones, so you should be able to find something that suits your style and money. Waking up in a renovated Moroccan home will make you feel at ease and give you the essence of this place. 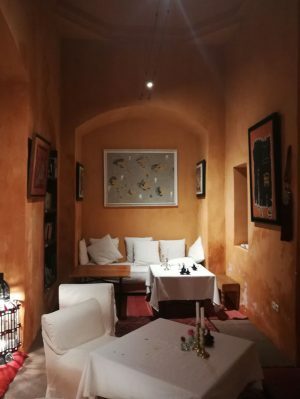 For a short trip in Marrakesh, I’d recommend booking a riad in the city center or within walking distance of it. Jemaa El Fnaa is the central square and marketplace in Marrakesh. 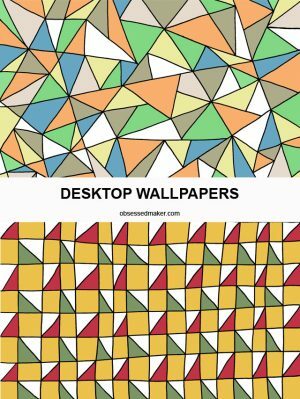 Think of a huge and loud square, considered to be the busiest one of Africa. Bet it sounds quite interesting for a visit. The square changes from morning to evening, so walking through at different times of the day would be even better. During daytime, the Jemaa El Fnaa is filled of juice vendors, local goods sellers, henna artists and snake charmers. All these are replaced in the evening, when there are dancers, musicians, acrobats and an array of stalls selling all kinds of foods. Throughout the whole time, there are numerous touristic stores around, open almost until midnight. If you dare to walk among the stalls, you should be careful because there is a big chance of a flogger pulling you to a certain stall. The whole experience can be fun, but it may feel overwhelming at certain times. If a vendor is rather aggressive and insists on selling something to you, you should say “no” and walk away. 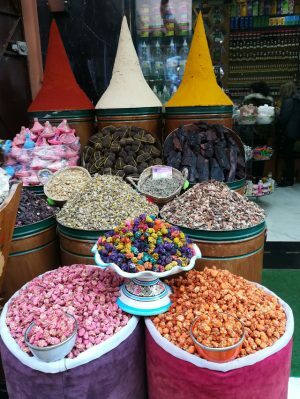 This vibrant marketplace is the number one spot you should visit even if you only have time for one place. As a general rule, be extra cautious with your valuables and your wallet since it’s a popular place for pickpockets. 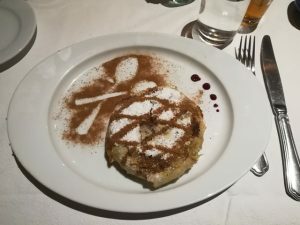 Didn’t have a decent photograph to share with you, but this link from trip advisor will answer any question you may have. 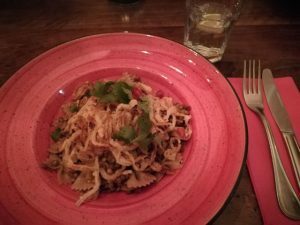 Local food plays a huge part of a trip, especially in cases when a place is known for its cuisine. 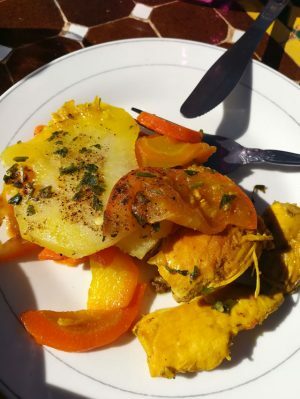 Food is relatively cheap in Marrakesh, so don’t hesitate to try several dishes. 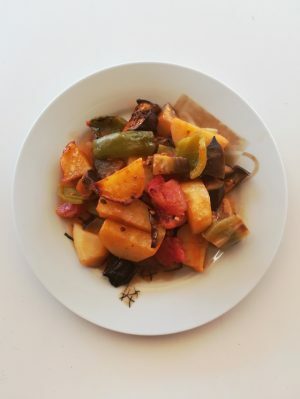 Choose traditional food, such as couscous, chicken tagine, spiced vegetable soups, pastillas, and sweet mint tea. Mint tea is consumed all day long as a beverage, even during dinner since, as a general rule, restaurants in Marrakesh don’t serve alcohol. 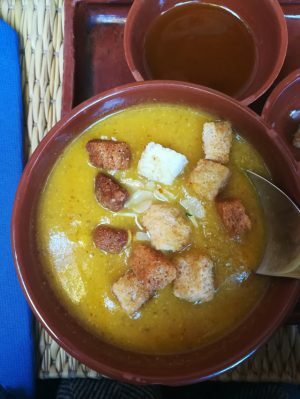 It’s common for tourists to get gastrointestinal issues in Marrakesh. It might be because of poor hygiene or too hard to digest or spicy food compared to what they normally eat. Don’t let it prevent you from eating traditional food, but better take the necessary precautions and practice good hygiene: wash hands often, carry antibacterial hand wipes or gel, drink only bottled water and avoid raw vegetables and peeled fruits. 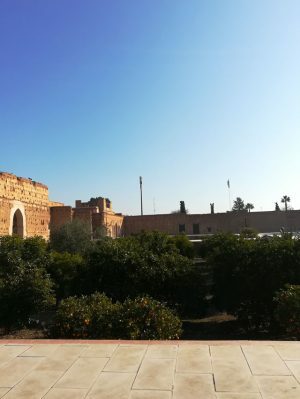 There are three palaces located in Marrakesh: The Royal Palace, the Palais El Badi Palace and the Bahia Palace. 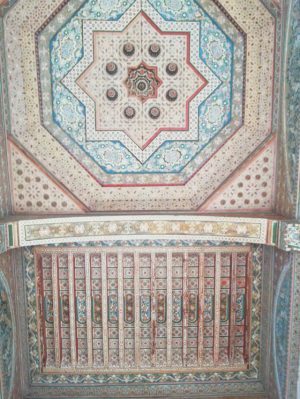 Currently you can visit only two of them (El Badii and Bahia Palace), since the Royal Palace is privately owned and not open to visitors. 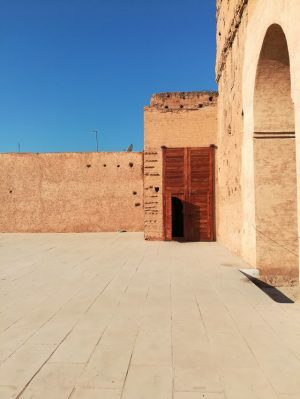 The El Badi palace, or Palais El Badiî or El Badia, meaning “Palace of the incomparable”, is a fascinating piece of Marrakesh’s history and one of the most popular tourist attractions in the Red City. Built at the end of the sixteenth century, the grand former palace stands in ruins today, but a visit will give you a sense of its size and beauty back in time. Wander around and enjoy a walk above the orange trees. 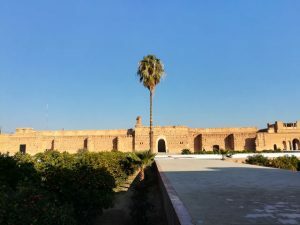 The Bahia Palace is as popular as the Palais El Badii, but it was built recently, to be accurate in the nineteenth century. 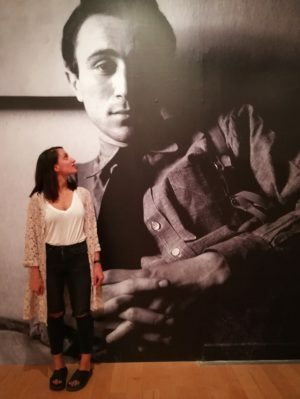 It is in great condition compared to the other one, and walking around the rooms (even though they are empty) gives a better understanding of its original use. 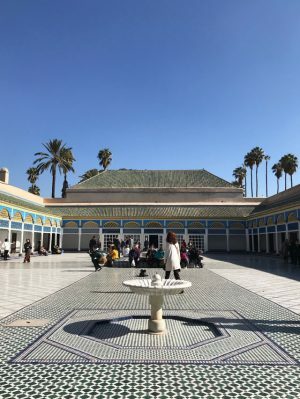 The Bahia Palace (the Palace of the beautiful, the brilliant) is is an architectural masterpiece and one of the main places of tourism in Marrakesh. The term “souk” is referred to the traditional markets of central Marrakesh where there are countless shops and stalls that sell almost everything. 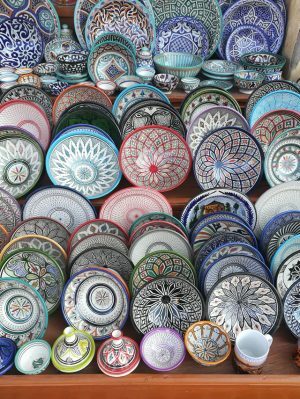 They are an absolute must-see for tourists in Marrakesh even if you don’t mean to actually buy anything. 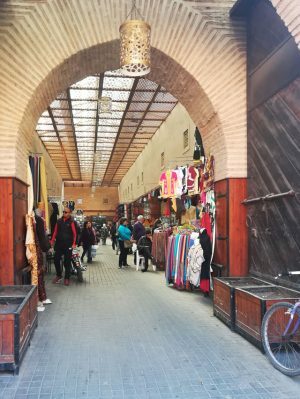 You can enter the souks right off Jemaa el-Fna square, while at first, they might feel confusing and overwhelming. Go on knowing that you can only wander without shop anything. As I mentioned above, you can buy almost everything in the souks. 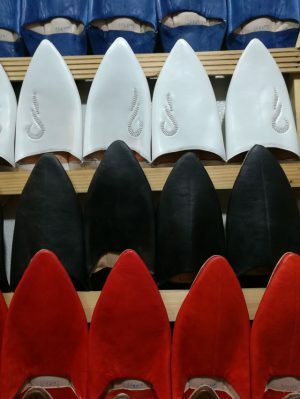 Shoes, accessories, handbags, nuts, lanterns, woodworking, ironware, clothing and textiles, rugs, leather items, herbs, food products, or pottery… the list is endless! Personally, I bought argan oil, shoes, a salad plate and more! Sometimes vendors are kind of aggressive, following you on the souk to persuade you to buy something, while others are polite. When you feel in pressure, you better politely state that you are not interested in buying something, and move on. Bargaining is a crucial part of shopping in the souks. Most of the times, the vendors will mention their prices (which is going to be quite high) and expect you to state your price. From there you start bargaining until you agree on a certain price. If you are anything like me and this sounds too stressing, I guess that you are not going to bargain and pay more than you would, like I did. But it’s okay. Mental health is way more important than this. There is a common secret that when a vendor states their price, you will ask to pay 1/3 of it, and you should expect to pay half of his asking price. 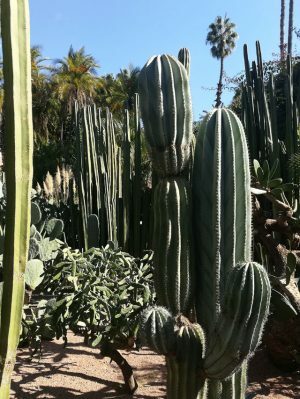 The Jardin Majorelle in Marrakesh is one of the most visited sites in Morocco. 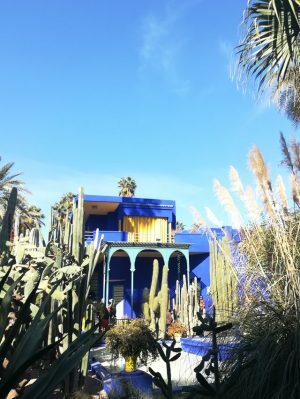 It served as the home of French landscape painter Jacques Majorelle (1886-1962) and took him forty years of passion and dedication to create this enchanting garden. The garden is known for its vast collection of trees and exotic plants from around the world and it consists of a magnificent experience. 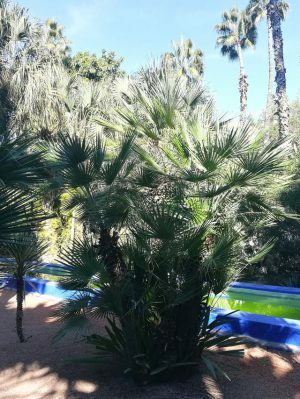 Yves Saint Laurent and Pierre Bergé bought the Jardin Majorelle in 1980 when it was going to be sold and be replaced by a hotel complex. 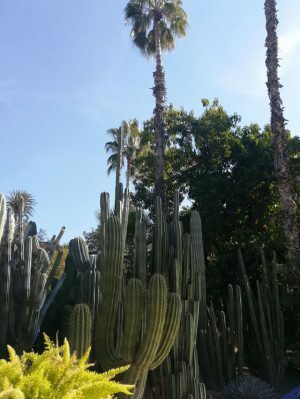 Instead, they bought it and undertook the restoration of the garden in order to “make the Jardin Majorelle become the most beautiful garden – by respecting the vision of Jacques Majorelle.” When Yves Saint Laurent died (in 2008), his ashes were spread in the Majorelle Gardens. There is a memorial in the shape of a Roman Column, which symbolizes his presence in the garden. The gardens are very beautiful to walk around, though this place is too crowded at times. Inside the gardens, there are museums, a café and a shop. 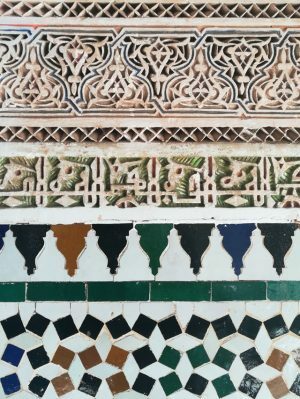 Moroccan hammam or spa is an outer-world experience. It’s a hot steam bath followed by a massage. It absolutely sounds perfect, yet it has nothing to do with the typical spa. 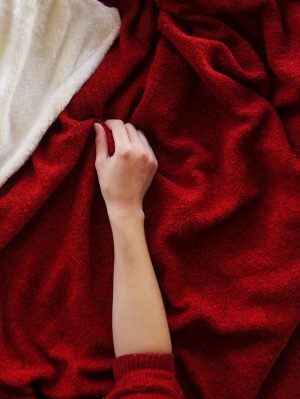 If you are a shy person, you may not go there, as you may feel uncomfortable. You will get washed and scrubbed so hard that your old skin will be gone. Don’t miss this experience. 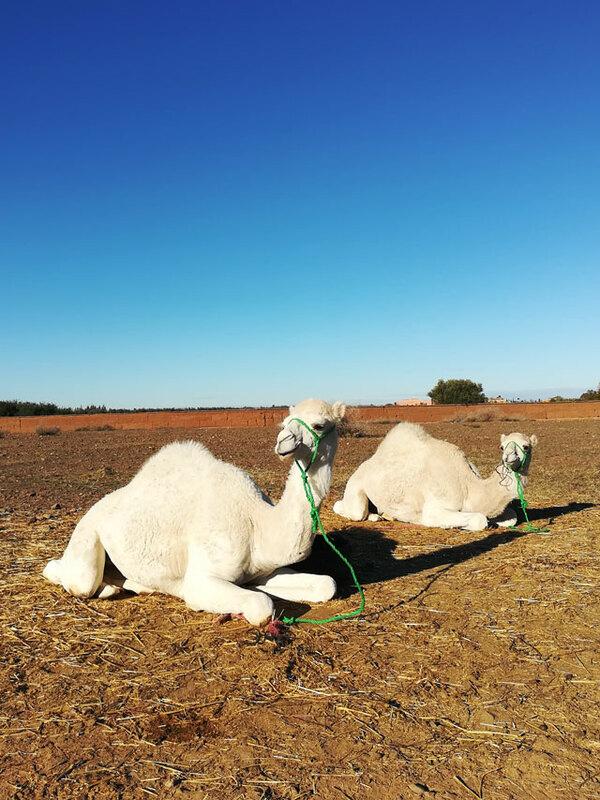 Whether it’s a camel ride or a hot air balloon flight, there are so many opportunities to create unique memories in your Moroccan trip. 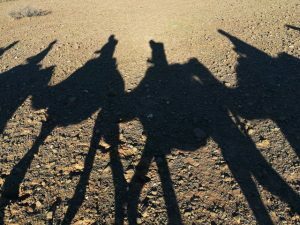 If your trip is short (like only 3 days), you could go on a half-day trip for a camel ride and some “sightseeing” outside of Marrakesh. 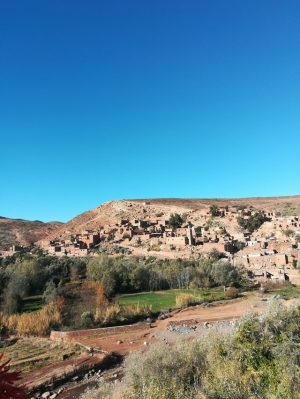 If it’s a long one, you could do a 3-day Sahara Tour or visit Fes and Chefchaouen (the “Blue city”). This kind of memories are the ones you will keep reminiscing when you return home. No, seriously take lots of photographs. I can assure you that the things you get to see and feel are so unique that you will need to have some photographs to refresh your memories. 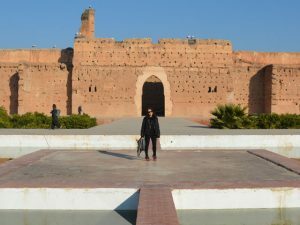 A valid passport is required for entry into Morocco. 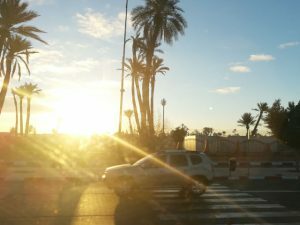 Flights to Marrakesh arrive at Menara Airport (RAK). No need for specific vaccines. The distance of the airport to the city center is around 20 minutes long and costs 50 dirhams (taxi). Taxis are available outside of the airport but it’s best to arrange transportation beforehand. 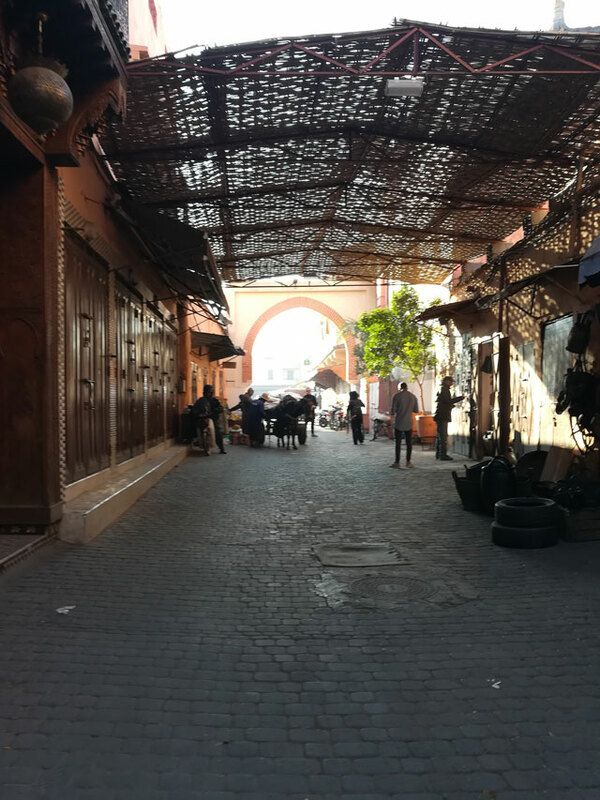 If you are staying in the Medina be aware that cars are not allowed in the souks after a certain time in the day, so the taxi will not drop you off directly at your accommodation. It’s not so dangerous as everyone says. Sure, you need to take the necessary precautions though. Take care of your valuables and wallet, and don’t walk around alone late at night. Be extra careful when it’s crowed or when strangers approach in order to sell you something. 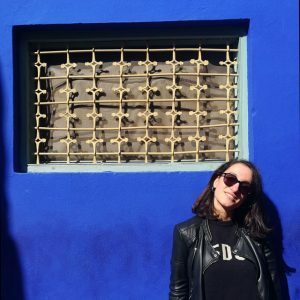 Cash is king in Marrakesh. Don’t expect to pay with a debit/credit card in a souk. They may think that you are crazy. ATMs can be hard to find in the Medina (much easier in the new city) so your best bet is to exchange money at the airport. The official currency is the Moroccan Dirham (MAD) and currently the exchange rate is approximately 10 MAD/1 Euro. You are expected to tip anyone who assists you, in restaurants, etc. 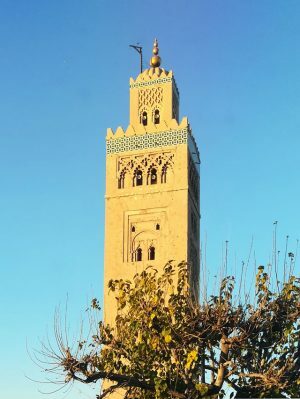 The official languages in Morocco are Modern Standard Arabic and Amazigh (Berber). 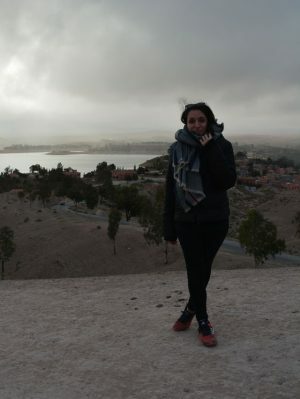 Though, Lots of Moroccans speak French and several people can communicate in basic English too. The only Arabic word I learnt is the following: Shukran, meaning Thank you. 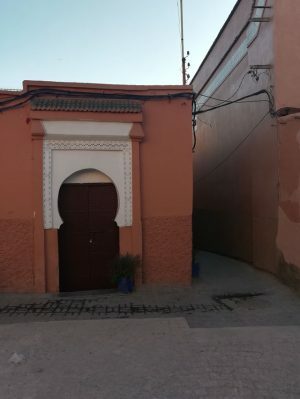 Islam is the official state religion of Morocco; you will hear the call to prayer ring throughout the city 5 times per days. Keep in mind that non-Muslims are not permitted to enter mosques. 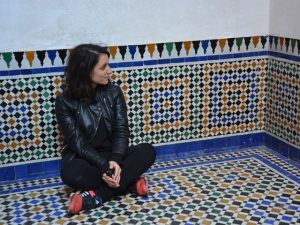 Before taking photographs of people in Marrakech or their products, you should ask for a permission. Be respectful if the answer is no.